Headlight Ford Transit from 1978 to 1983. 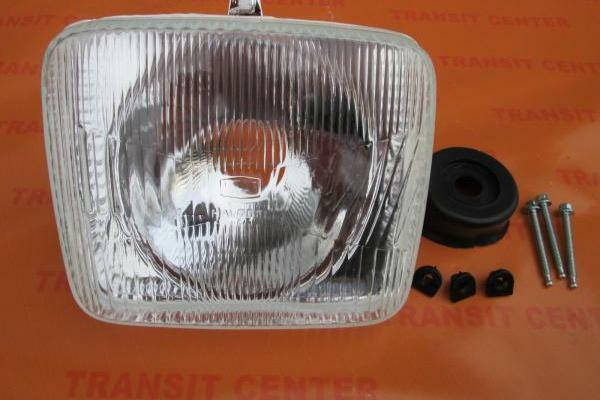 This headlight can also be used for vintage 1983 - 1985 provided remake fixing. This is possible because the reflector has the same shape as the face lifting model MK2. Offered headlight fits on the left and on the right side of the car. Lamp Ford Transit MK2 replacement product sold in the mounting kit to reinforce the front.